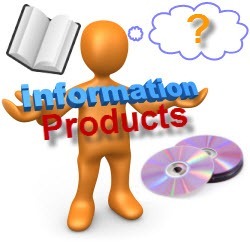 Have you ever thought about giving away an information product at no cost? There are several ways to do this and this strategy has been quite effective for me over the years. I will describe each of the three ways to use free information products to build your list, connect with new prospects, and grow your online business in a way that makes sense for your niche and for your specific topic within that niche. The very first time I created what would become a free information product was years ago when someone who had been online for many years wanted to recommend me to others. His community was huge in comparison to mine and we wanted a way for his to share what I was doing with his vast audience. The answer was for me to create a new optin page (also known as a squeeze page) through my affiliate link. That way when someone came over to check me out and opted in to my list, they were doing so through his affiliate link. This strategy also allowed me to experiment with different headlines and copy and to reach out to a demographic I hadn’t even thought of going after before this time. The actual free information product for these is a short report on a specific topic, such as affiliate marketing or teaching online courses. These days I have several of these single page opt in websites up and they continue to generate leads and business for me. This one continues to be a popular way for others to get to know me without having to purchase anything up front. The final way I create free information products is through another opt in page. This time the free giveaway is a short report on a specific topic, such as content creation and marketing and it leads those who opt in to a limited version of an online course I have taught on this topic. No one has ever complained that they paid for something I am also giving away because the paid version is complete and also includes some excellent bonuses. By now you can see that the free information products strategy is a solid one that is worth pursuing in your own business. I’d love to hear your thoughts on this as to how you will be using this technique to build your online business. Are you ready to build your online business with information products? It takes time, effort, and hard work to learn what you need to know and to put all of the pieces in place. But once you do, you are unlimited as to what is possible in your business. My Really Simple Info Products training course teaches you everything you need in a step by step manner so that you will not leave out any of the pieces. Begin by creating simple information products on topics you are familiar with, and then expand to more sophisticated products and courses. Over time you will build your own silent sales army and enjoy massive passive income for years to come. I’m Connie Ragen Green and I’ve been an online entrepreneur since 2006. If you are ready to get started on your journey to multiple streams of online income, visit my site at Online Entrepreneur Blueprint and download your complimentary training to get started today. This entry was posted in Online Marketing Tips and tagged Entrepreneurs, Free, Information, Online, Products on March 19, 2017 by Connie Ragen Green. 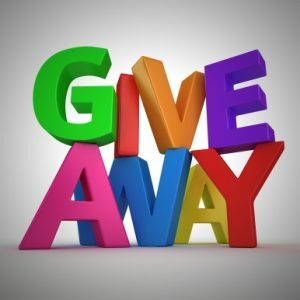 Is Your Free Giveaway Complete? Long ago, before I came online in 2006 it was said that people would opt in to your list just to be on your list. You didn’t have to promise them a newsletter or provide them with a short report or other opt in gift or free giveaway. All of what we now do on the internet was new and exciting and everyone involved looked forward to receiving email messages from people who had information on any of a variety of topics. Those days have gone the way of the dinosaur and you must accept that fact and move on. There was a short period of time where people would join a list just to receive a newsletter, but these days that typically would only be effective for those who are already well known in their niche. The very first list I joined in 2006 was for a newsletter on being positive in our lives. This newsletter was from Jon Gordon, an author and speaker on the topics of leadership, sales, culture, and teamwork. I eagerly awaited each issue arriving in my inbox and took his valuable information and tips to heart. Jon had become an icon in my mind at that time. For the rest of you who are not known to the world, you must provide something of value to the visitors whom you hope will opt in to your list. I have found two effective ways for you to make this happen. There are several names for what you will offer people, including free giveaway, ethical bribe, and opt in gift. I will refer to it here as your free giveaway. Typically this would be a short report on a specific aspect of your overall topic, and could vary in length from five to thirty pages. The preferred length has gone back and forth over the years, and I now recommend that my students offer something that is between fifteen and twenty-five pages. You include a table of contents, an introduction, a resources sections, and information about the author at the end. It’s sort of a mini eBook in that it is self-contained and filled with excellent, helpful information. At the end of your free giveaway you absolutely must include a call to action. This is what you want your reader to do next after they come to the end of your report. I send people to look at my author page on Amazon to see all of the books I have written, to one of my products or online courses, or to another one of my sites where they can find further information. The idea is to move them through a process that will serve their needs while also allowing you to share more about who you are, what you do, and what you have to offer. Free giveaways can consist of audios and videos as well, but I would not create them without including a written component as well. As you can see, there are many things to think about when it comes to creating and distributing your free giveaway to build your list. I offer a training on this called Really Simple List Building that continues to be beneficial to new online entrepreneurs who want to build a list and grow their business. This entry was posted in Online Marketing Tips and tagged Build, Creating, Free, Giveaway, List on February 27, 2017 by Connie Ragen Green.